Are you looking for lovely cake topper? We have your answer. 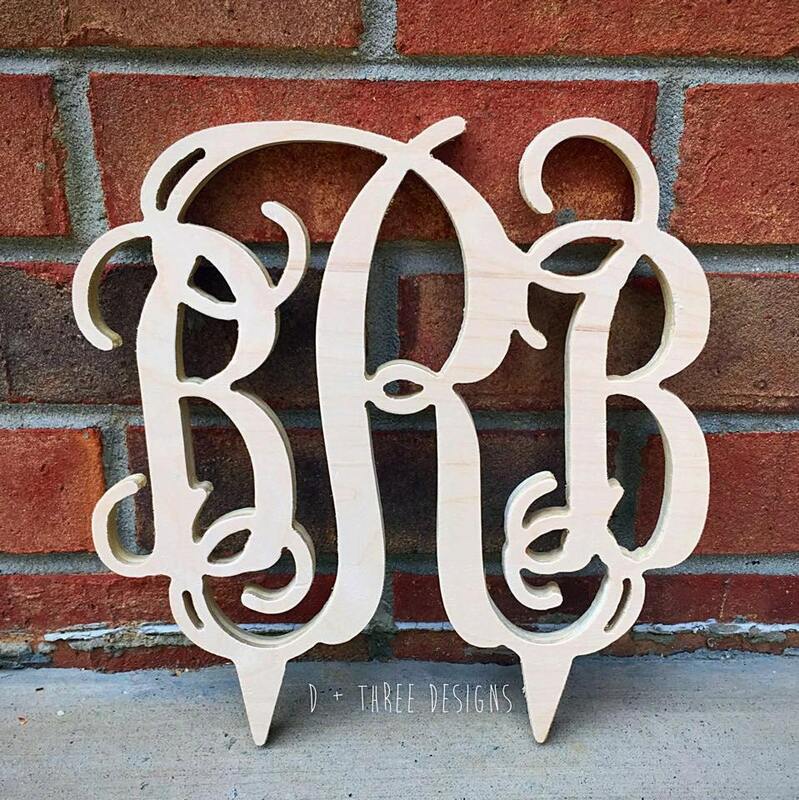 This un-painted cake topper is created out of 1/2 inch birch wood. The bottom has two attached sticks to be placed into the cake. This cake topper is 7.5" tall and 8" wide. We are happy make your cake topper to the size you need to fit your cake! Be sure to put in the notes to seller box the three initials you want in the order you want them. If you would like to see how your monogram will look - please send us the request. We love custom orders and would be happy to create whatever it is you desire! Just message us!